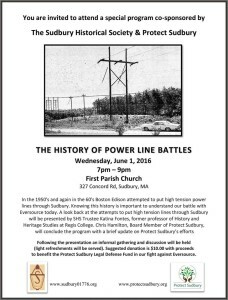 Protect Sudbury Overview – Presentation delivered March 1st, 2016, by members of Protect Sudbury Working Group to the Sudbury and Hudson community gathered at the Goodnow Library in Sudbury. As result of questions and comments we’ve received from residents and others in the local communities about the proposed Sudbury to Hudson Transmission Reliability Project, Eversource has developed the attached Frequently Asked Questions (FAQs). 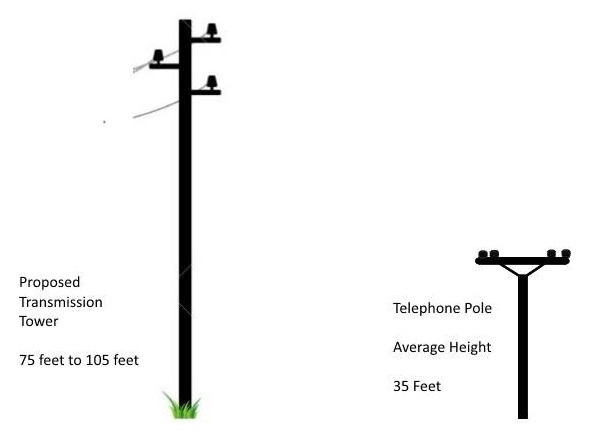 The FAQs will be posted on our Project webpage at www.eversource.com and we encourage you to post them on your community web site as well. If anyone has any questions, we appreciate you leading them to our Project hotline at 800-793-2202 or email TransmissionInfo@Eversource.com. 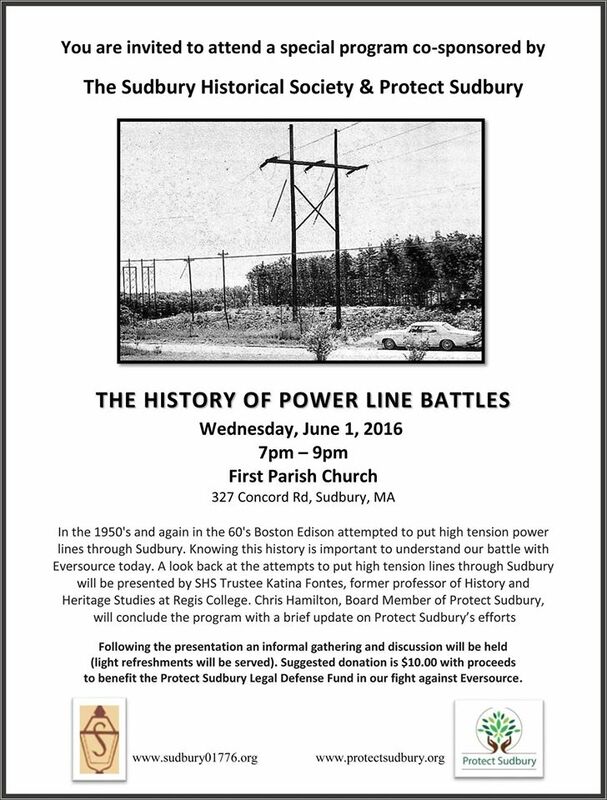 Sudbury Historical Society Presentation – Watch to learn more about Sudbury’s long history with power companies and power lines. Presentation to AG Listening Session Delivered by Jim Gish on June 27, 2016, to a listening session hosted by Melissa Hoffer, Chief of the Energy and Environment Bureau in the Attorney General’s Office, at Roxbury Community College.